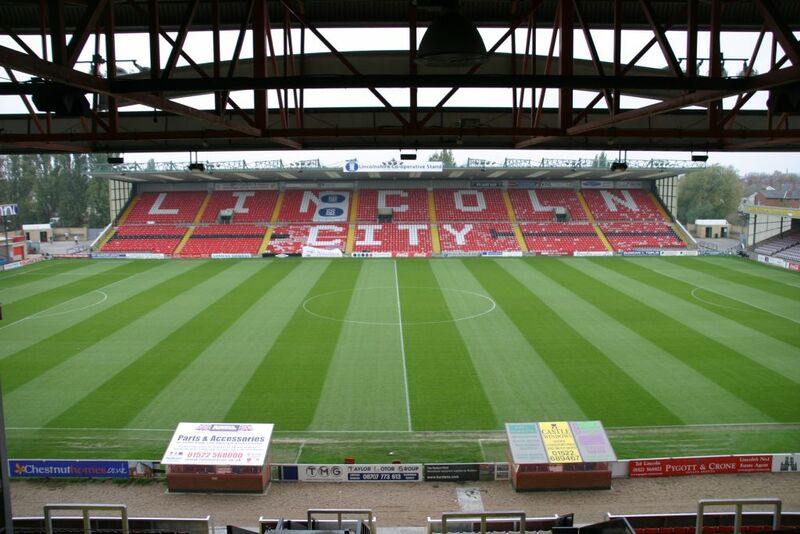 A massive thanks to all the Blue Square fans that have read the blog along with fans of the Mighty Imps. STMI hopes you all have a great 2013. Be healthy, wealthy and wise. Though we are no longer able to cover games and therefore write the blog, here is how we did thanks to the WordPress.com stats folks, who prepared a 2012 annual report for Save The Mighty Imps. About 55,000 tourists visit Liechtenstein every year. This blog was viewed about 670,000 times in 2012. If it were Liechtenstein, it would take about 12 years for that many people to see it. Your blog had more visits than a small country in Europe! In 2012, there were 778 new posts, growing the total archive of this blog to 882 posts. There were 557 pictures uploaded, taking up a total of 4 MB. That’s about 2 pictures per day. The busiest day of the year was July 26th with 16,222 views. The most popular post that day was Pompey Plight Despite Leeds Leaves Westwood In Limbo. Have you room at your Lincolnshire Inn at Christmas for a greyhound in need of a home? Adie is the longest stayer at Lincolnshire Greyhound Trust (LGT) and really deserves to find a loving home soon. Despite LGT re-homing 124 different greyhounds in 2012 poor Adie has been overlooked as he is a big strong lad who’d need a good responsible owner. All LGT dogs are neutered, vaccinated up to date and microchipped and we provide a collar, lead, coat and muzzle plus 4 weeks free insurance with every greyhound we re-home. Shorn of Bradford city marksman Hannah and the caresses of Crawley winger Neilson, the Imps can continue to prove their play-off credentials against table topping Grimsby town. We can obtain at least a home draw one feels and, as the most in-form away side, go to town and land a big-un. A merry Impmas and thank you for reading Bank exile Neil Gentleman-Hobbs. The Mariners sit 1st whilst the Imps sit 10th but the recent form for both sides has been equally impressive. 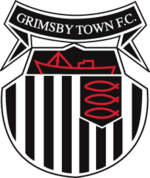 Grimsby come to the Bank on Boxing day in the first of two of the festive all Lincolnshire double headers. They will have to do it without 9 goals in 14 Ross Hannah, who got the winner on Friday against Wrexham. With his try before you buy loan spell completed Bradford will seek hard cash on the table for him to return to Blundell Park in time for round two on January 1st. Exciting wideboy and fellow loanee Scott Neilson has also completed his loan spell and will return to Crawley evening things up a tad, as the table topping Mariners travel to the Mighty Imps, who fancy a play-off place after a fine run of form including a 10 match unbeaten run. A big welcome to the Mariners, thank you for reading the form of the Foe courtesy of Bank exile Neil Gentleman-Hobbs. The Mariners sit 1st whilst the Imps sit 10th. The Mariners have cast off the long-term loss of hit-man Hearn and really got their act together over the last 3 months. The win over big rivals Wrexham on Friday shows a robust and resilient squad has what it takes to beat those around them as well as the BSP’s stubborn sides that have seen them enjoy a successful, albeit relatively clement, recent run. Excluding the loan signings of Hannah (a name to conjure with for older Imps) and Neilson, the Mariners managerial duo were backed generously again by John Fenty. In came defenders Simon Ford from Chesterfield, Sam Hatton from AFC Wimbledon, Aswad Thomas from Braintree; keeper Greg Flemming from Chesterfield; Right winger Joe Colbeck from Hereford United; and strikers Greg Pearson from Burton Albion and Andy Cook from Barrow. Trialist midfielder Derek Niven also got a 1 year deal. Coulson left for York City and Scott Garner went to Cambridge, plus Anthony Church, Kiernan Hughes- Mason, Peter Winn, Gary Silk and Charlie I’Anson were also released. IN– Striker Greg Pearson from Burton. Just 16 conceded all season with 9 clean sheets.